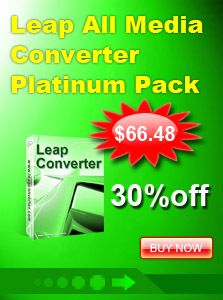 Leap DVD to AVI WMV MOV MPEG FLV MP4 Ripper is an excellent DVD ripper tool which helps you rip DVD movie to all popular video formats with fast converting speed and excellent video quality. 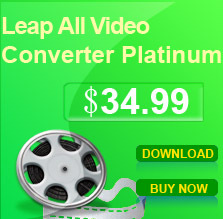 Leap DVD to AVI WMV MOV MPEG MP4 Ripper rips DVD to all popular video formats including AVI, MP4, WMV, VCD, SVCD, DVD, SWF, MOV,FLV. Free download and have a try now. You can watch your DVD movies on your computer.